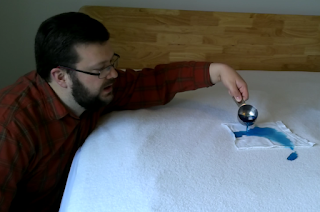 Let's take a look at the Luna Waterproof Mattress Protector! I bought one and did a waterproof test by pouring water on it. Watch the video (below) to see how it went! Prefer to watch directly on YouTube? Click Here. The Luna can be machine washed (just follow the care instructions carefully!) and machine dried on the lowest setting (gentle). B+ for comfort - it conforms nicely, and doesn't change the feel of the mattress, and a little more taught than either the SafeRest or Lucid. 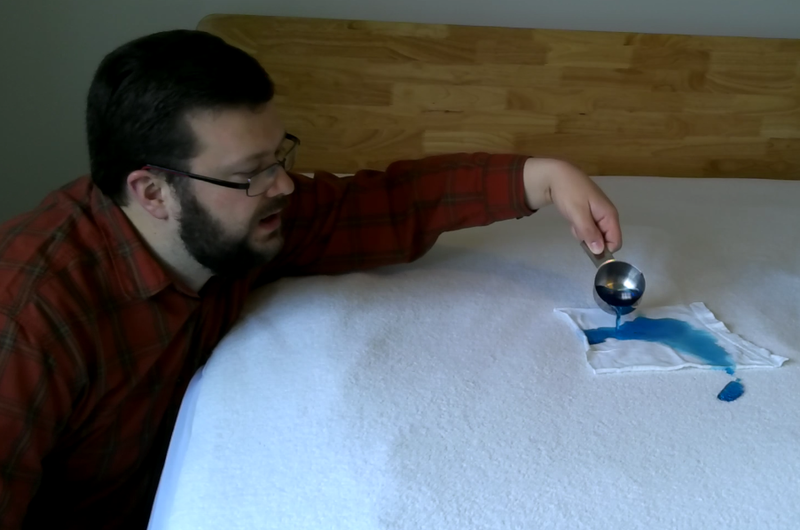 Actual footage of Dugroz testing the Luna Mattress Protector! The Luna Protector is available in all standard sizes and has a 15 year warranty (slightly better than some others). I paid full price for my Luna Mattress Protector. The above links are affiliate links. Please see the disclosure a the bottom of this web page.